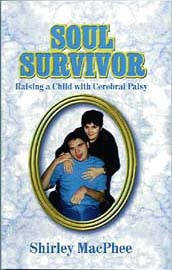 I wrote this book to illustrate what my husband, daughters, and I accomplished through home care and how Jeffrey, our disabled son benefited from the provision of consistent patience and love. 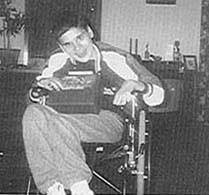 I also wanted to help other parents of disabled children and their children. I wrote about our trials and triumphs throughout his nineteen years including, caregivers, education and being parents to Jeffrey. certainly realize and understand that not all families are in a posistion to care for their child at home. Oh, this is you, child of mine. Orders within Canada please add $1.00 shipping and handling. Orders from the U.S. please add $2.00 shipping and handling. I now have a guestbook! Please take a moment to sign it for me. Thank you! Want to join the CPN Web Ring? CPN Bulletin Board Join CPN today! This KidPower Ring site owned by Shirley MacPhee. 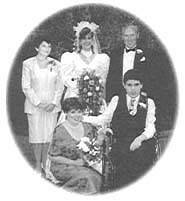 All written material and photographs contained within this web page shall remain the sole property of Shirley MacPhee. © 1999, 2000, 2001, 2002 Shirley MacPhee, All Rights Reserved. Site created on May 27, 1999 - Updated on July 9, 2000.